This classic cottage or farmhouse sofa, will help you bring a sense of simplicity into your home. Relaxed, yet lightly elegant, this sofa features plush cushions covered in neutral toned upholstery - accented by pecan stained legs. Seat and back cushions are reversible to make cleaning convenient. 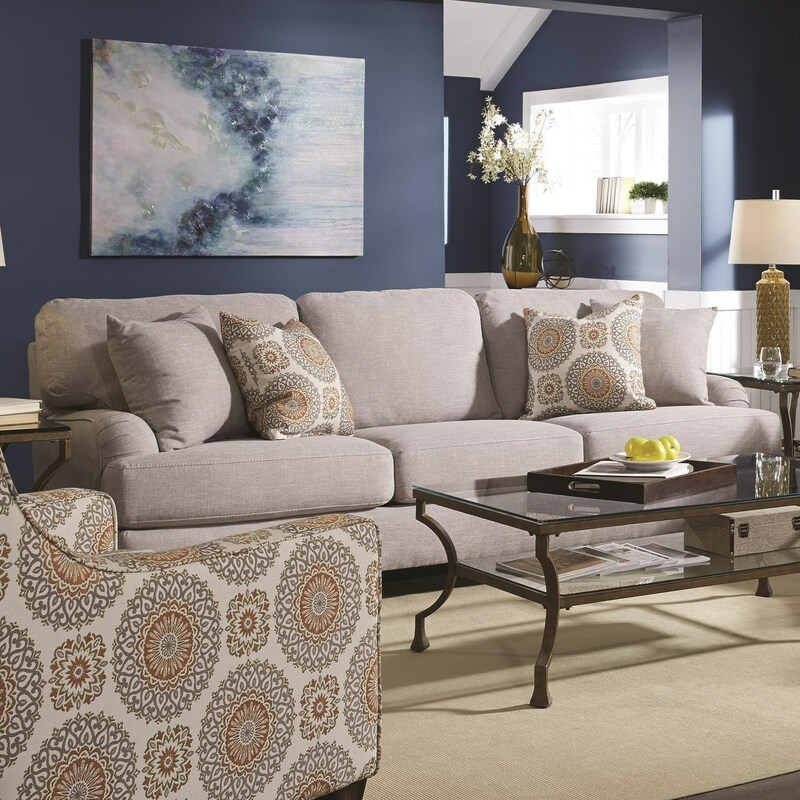 The Brianna Sofa with Classic Cottage Style by Franklin at Miskelly Furniture in the Jackson, Pearl, Madison, Ridgeland, Flowood Mississippi area. Product availability may vary. Contact us for the most current availability on this product. The Brianna collection is a great option if you are looking for Traditional Cottage furniture in the Jackson, Pearl, Madison, Ridgeland, Flowood Mississippi area. Browse other items in the Brianna collection from Miskelly Furniture in the Jackson, Pearl, Madison, Ridgeland, Flowood Mississippi area.